The primary reason no GWOT monument yet exists is that, per the Commemorative Works Act of 1997, combat must have ended a decade before work on a memorial can begin. The Global War on Terror continues unabated. How are we supposed to "remember" wars that might never end? 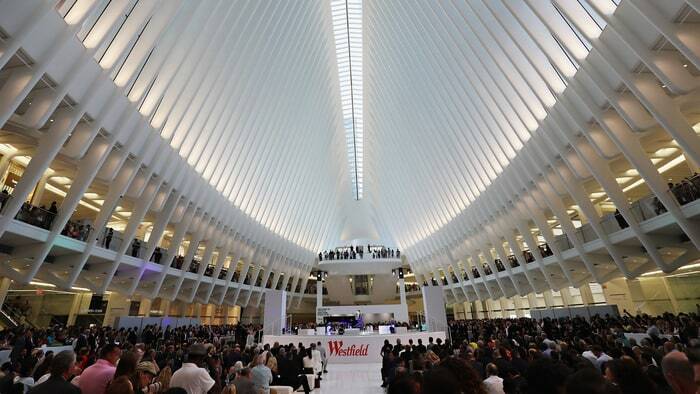 Last month, nearly 15 years after September 11th, a mall opened at Ground Zero. The Westfield World Trade Center is aggressively ordinary, despite resting on the site of the nation's most memorable and deadly terrorist attack. As The New York Times notes, "there is little to suggest that [the mall] occupies consecrated ground ... this mall could be just about anywhere." Walking the pristine marble floors of the concourse, past stores like Apple, Sephora and Kate Spade, there's no indication that the soil underfoot might contain debris from the first foreign attack on American territory in two generations. A nearby museum and memorial officially commemorate those who died in the World Trade Center attacks, underscoring the absurdity of the mall's presence there. The juxtaposition of the memorial and the shopping mall gestures at America's complex attitude toward commemorating wars and tragedies. As a veteran of the Global War on Terror who deployed twice to Iraq as an infantryman, there's no permanent federal monument where I can publicly mourn and remember. As important as the country's various 9/11 memorials are, they're memorials to civilian victims of terrorism, not members of the military. There is no official government monument recognizing the casualties of what some have taken to calling the Long War. If you really want to honor anyone, it would be a good time to refresh history of what already happened. Reminder, it is not the longest war. Vietnam still is at just under 20 years. First name on The Wall is "The first American soldier killed in the Vietnam War was Air Force T-Sgt. Richard B. Fitzgibbon Jr. He is listed by the U.S. Department of Defense as having a casualty date of June 8, 1956." and the last killed ""The ‘Mayaguez Incident’ The battle on Koh Tang occurred on May 15, 1975." Gulf War "While Feb. 28, 2016, marked the official anniversary of the cease-fire that ended the war 25 years ago, no special celebrations were held on the day, a disappointment several war veterans fumed over." And this is how long it took for the Vietnam Memorial Wall to be built. "The Memorial (wall) was completed in late October and dedicated on November 13, 1982."